With services driving the economy, Union Commerce and Industry Minister Suresh Prabhu on Saturday advocated quality revolution in the lead sector as it also provided more jobs. BENGALURU: With services driving the economy, Union Commerce and Industry Minister Suresh Prabhu on Saturday advocated quality revolution in the lead sector as it also provided more jobs. "A quality revolution in the services sector is a priority for us, as the economy is increasingly driven by it... it also provides more jobs than other sectors," he said in a video address to the 25th National Quality Summit of the Indian industry here. According to a joint report of the Confederation of Indian Industry (CII) and global audit services firm KPMG, the services sector contributed 61 per cent to India's Gross Domestic Product (GDP) in fiscal 2015-16. "Quality movement has been the cornerstone of the competitiveness of India's economy. 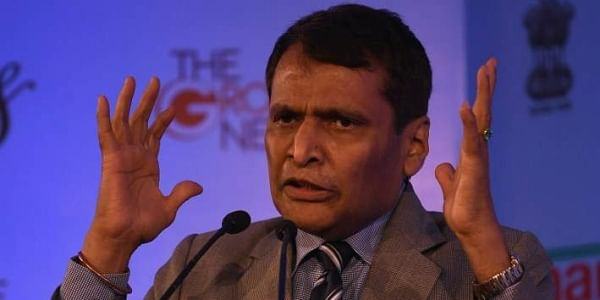 Businesses in services and manufacturing must benchmark their quality performance with the best in the world and serve the domestic and global markets," said Prabhu. Echoing his call for quality benchmarks even in the services sector as in the manufacturing sector, Karnataka IT and Biotech Minister Priyank Kharge said skill development played a key role in promoting quality and innovation. "Our government is training 1.1 lakh students in developing skills to provide software and hardware services in emerging technologies such as machine learning, artificial intelligence, big data, animation and block chain," he said at the inaugural session of the two-day summit on "Quality Evolution - Journey through Innovation". Export-Import Bank of India Managing Director David Rasquinha said lack of quality culture was proving to be a non-tariff trade barrier for the Indian industry. "In a competitive environment, quality is the only way to gain market share. Exports should invest not only in their brands, but also in the quality of their products," he said in his special address at the event. Highlighting the importance of quality in customer service, ASI Consulting Group Chief Technical Officer Shin Taguchi said there were three types of quality in such a service - basic quality, without which a customer would be upset; performance quality, which would surprise a customer; and excitement quality, which excites a customer. "Successful companies are good at innovating to create the excitement quality in the market by focusing on robust design of products and services," he said in his keynote address. CII Institute of Quality Chairman & Tata Chemicals Managing Director R. Mukundan said as technology was at the heart of doing business, it must be harnessed for improving the quality of goods and services. "Developments like data driven quality, self-organising productivity, robot assisted productivity and predictive maintenance should make progress in quality improvement," he said.